Adult orthodontics involves straightening teeth and aligning a patients' bite. Dr. Joshua Bruce has received additional schooling and hands-on training in how to work with adults to straighten their teeth and improve their smile. Many adults think that they cannot straighten their teeth or qualify for braces because they are older. This is not the case. 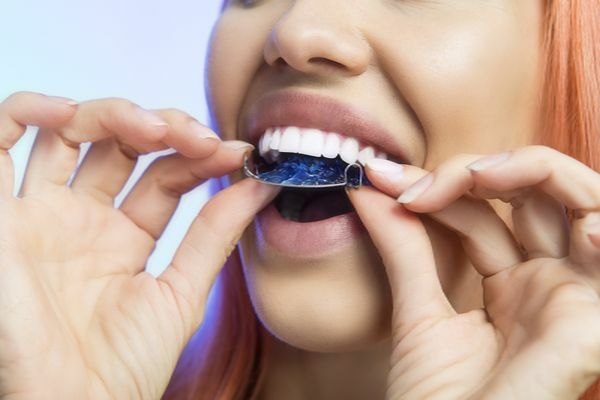 From 2010 to 2012, the American Association of Orthodontics found a 14 percent increase in the amount of adults seeking orthodontic treatment; over 1 million patients. In many ways, it is easier for an adult in the Woodruff area to get and take care of braces than younger patients. Adults are more responsible, making it easier to avoid foods that can harm braces. Additionally, it is easier for adults to learn how to care for their braces and teeth, decreasing the risk for cavities. At times, this can even make the process faster for adults than it is for children. When braces and teeth remain in perfect condition throughout the treatment, the process will stay on schedule. 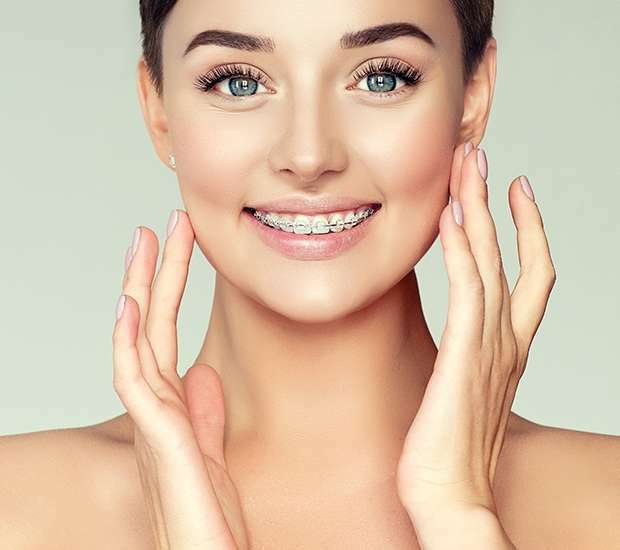 Without delays from broken brackets or having to remove parts in order to receive care, we can ensure the braces are only on as long as necessary. Adults are more equipped to keep their treatment on schedule. At Bruce Orthodontics, we help adults and children to straighten their teeth. With the advancements in orthodontics treatment, age is not as limiting of a factor as it used to be. Adults have more options for orthodontics treatment, including nearly invisible or clear-colored products. Aligners resemble a clear retainer and are made of plastic that surrounds the teeth. At the beginning of the treatment, Dr. Joshua Bruce will use the impression of a patient's teeth to have aligners created in a lab. Once completed, the aligners will slowly move the patient’s teeth into position. Every two weeks, a new aligner is worn until teeth are completely straight. Patients throughout Wisconsin like how easy it is to straighten teeth and the fact that aligners are difficult for others to notice. Adult orthodontics and these other options are available because an adult has all of their teeth and a jaw that is unlikely to continue growing. This reduces some of the complications that can arise when treating children, while creating an opportunity for more unique and innovative treatment options. If you live in the local area, we recommend that you schedule an appointment with Dr. Joshua Bruce to learn more about what your options are. Every patient has different needs based on the position of their teeth, bite problems and their lifestyle. With that in mind, there is no one size fits all solution to orthodontics. At Bruce Orthodontics, we customize each treatment plan to the needs and goals of each patient. During your consultation and examination, we can discuss these options in further detail. We will also discuss what life will be like, how often you need to come in for checkups and how long the process should take. Once you have information on adult orthodontics, you can easily determine which treatment option will fit your lifestyle and smile goals. Our courteous staff will make the process go as smoothly as possible. Call (715) 972-8573 to schedule your appointment and learn more about adult orthodontics. If you live in Woodruff and are considering adult braces, call our orthodontist office. We provide adult braces to those throughout the local area. Adult braces are similar in function to what is worn by children, only with fewer potential complications. Since adults have all of their mature teeth in, their jaw has stopped growing. This makes it possible to straighten teeth once, instead of potentially needing an additional treatment when back molars come in. At Bruce Orthodontics, we provide a variety of treatment options as part of our adult orthodontics services. Our services include both traditional metal braces and clear aligners. Traditional braces are attached to the teeth using metal brackets and wires to straighten them. Aligners are a clear plastic tray that is worn around 22 hours a day. The aligners are only taken out in order to eat and brush teeth. Both are effective solutions for straightening teeth and transforming smiles. We work with patients throughout Woodruff, Wisconsin. No matter how crooked your teeth are, they will still need to go through the same basic process. The changing factor is in how long you need to wear your braces and which adult orthodontics treatment option will work best for straightening your teeth. Make room for your teeth. Many people suffer from overcrowding in their lifetime. Overcrowding can occur when baby teeth fall out prematurely, and the remaining teeth shift out of place. 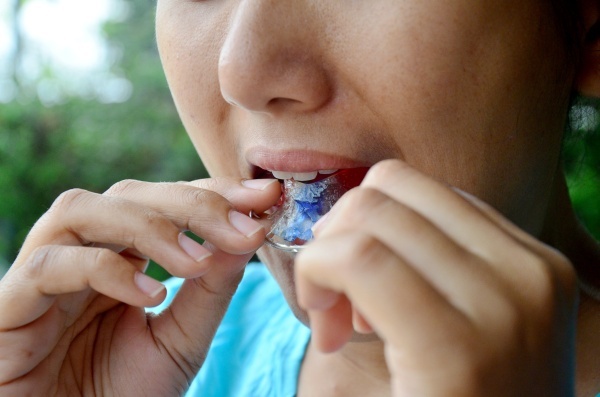 Some people do not have enough space in their mouth to accommodate all of their teeth. We can use an expander to slowly push the teeth outward and broaden the palate. This way, there will be room for the adult teeth to move into position. The alternative involves having a professional pull a few teeth. To determine if an expander will work for you, call 715-972-8573 and schedule a consultation. If you live in the Woodruff area and want more information on adult braces, call Bruce Orthodontics at (715) 972-8573 to schedule your consultation.